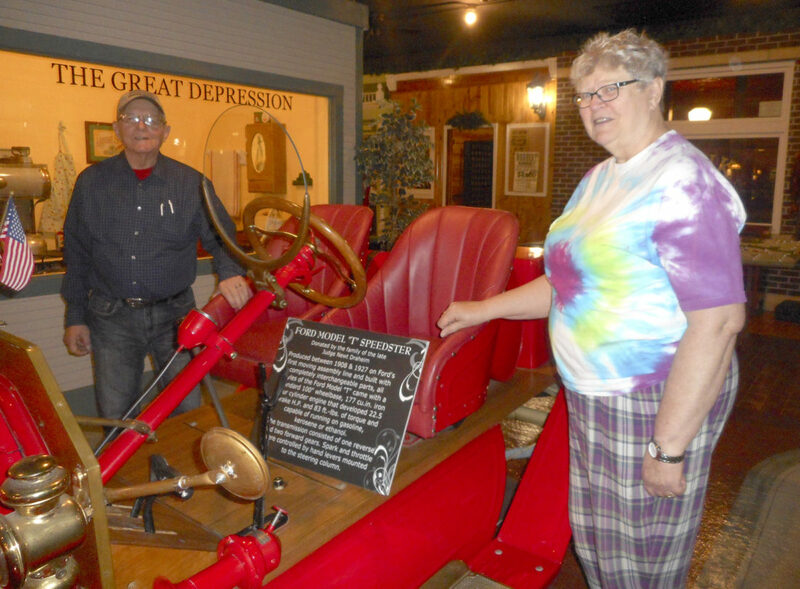 -Messenger photo by Karen Weld Mary Tesdahl stands near one of the newest acquisitions for Clarion’s Heartland Museum, Judge Newt Draheim’s 1927 roadster. 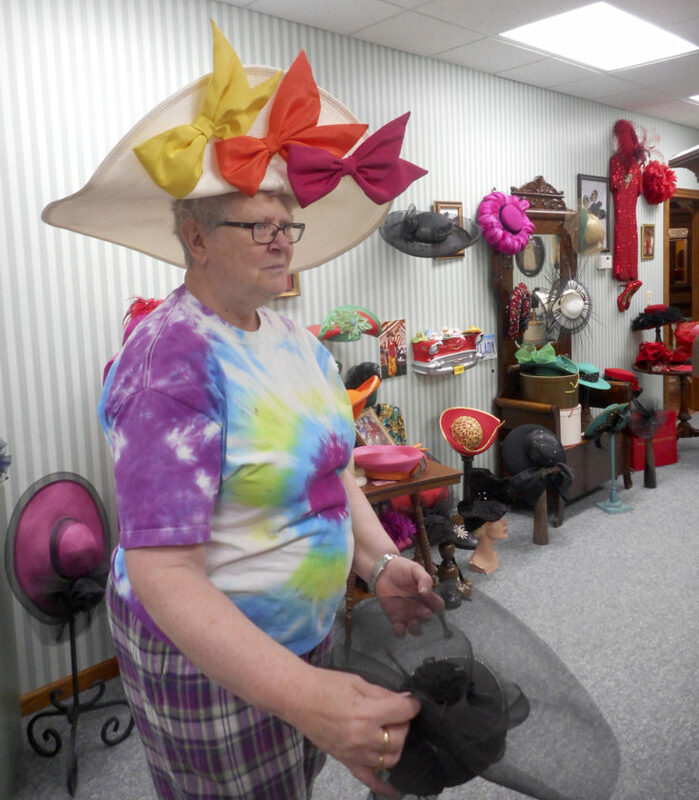 -Messenger photo by Karen Weld Mary Tesdahl tries on one of the many hats housed in the Alvina Sellers’ Iowa’s Hat Lady portion of Clarion’s Heartland Museum. Sellers was Tesdahl’s husband’s aunt. CLARION — For 35 years, Mary Tesdahl was a middle special education teacher; 28 of them in the Clarion schools. 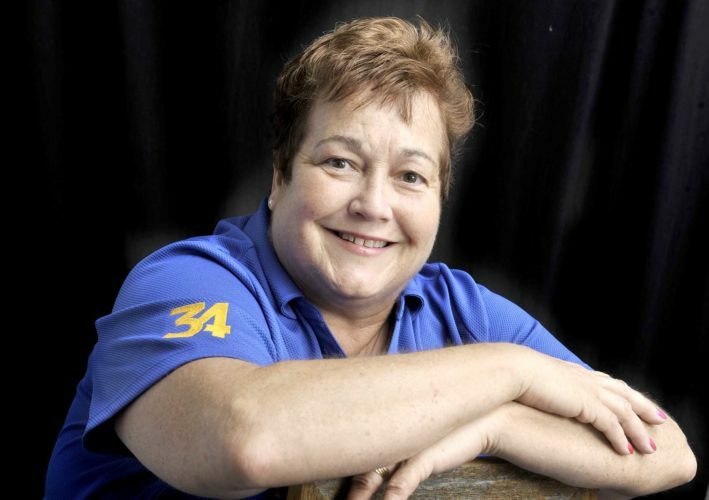 After her retirement, she has continued her work as an educator, serving as co-chair of Clarion’s Heartland Museum. She begins her third year heading the all-volunteer board of directors. 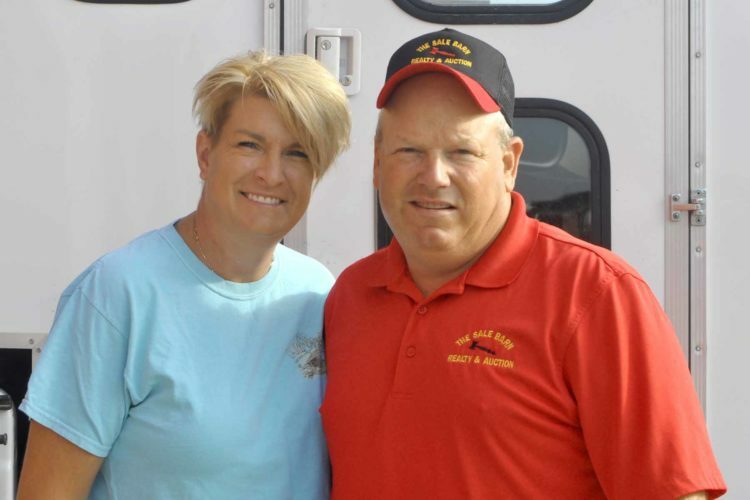 Normajean Collier serves with Tesdahl. Heartland Museum, located in southwest Clarion, has nearly 27,000 square feet of display on the main floor. The museum houses a large collection of farm tractors, farm toys, a portion of Alvina Seller’s Iowa’s Hat Lady’s 6,000-hat collection, and a collection of designer teddy bears, among other exhibits. Inside the museum is also the Wright County Historical Library. The museum, which has been built, maintained and manned almost exclusively by volunteers, began in 1999 with a fund drive. 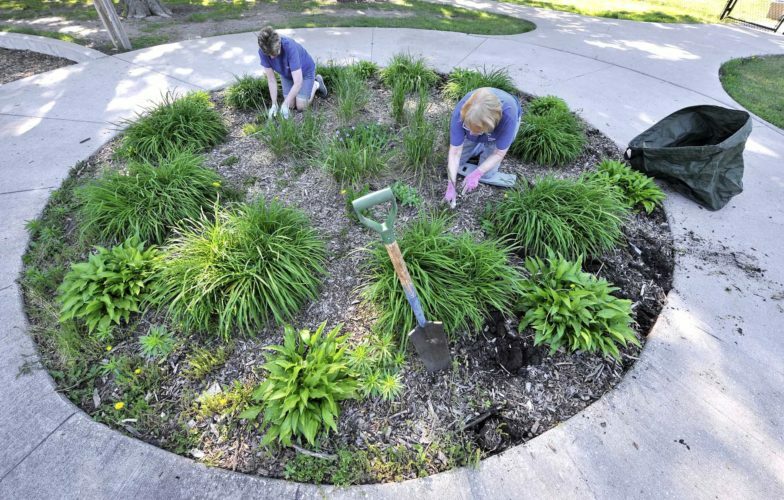 “Then one by one the various areas were completed and opened beginning in 2000,” she said. 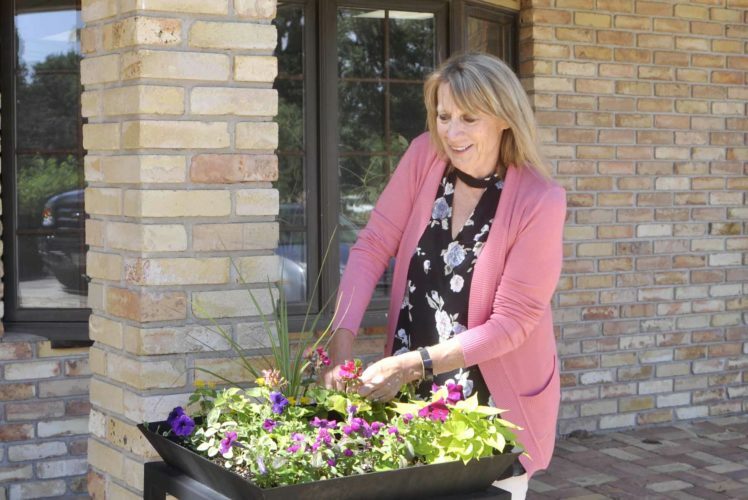 Because her husband, Allen’s, aunt Alvina has much of her collection on exhibit, the Tesdahls had more than a casual interest in the museum from its beginning. “I took a little time off after I retired and we spent a few winters in Colorado before I came on to the museum’s board of directors about 10 years ago,” said Tesdahl. Now the pair spend a portion of each weekday working at the museum. While Heartland Museum is open Monday through Saturday, Memorial Day through Labor Day, from 10 a.m. to 3 p.m., it is open any time by appointment. More than 1,000 people have visited the museum this year, prior to its being open for the summer season. 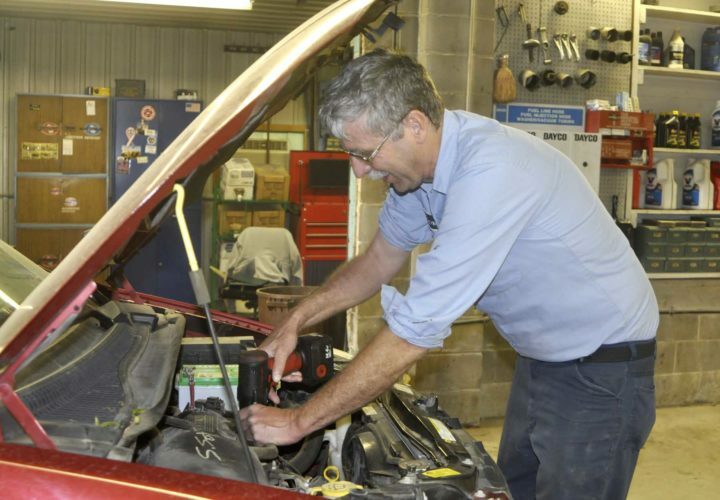 “We hosted the winter Minneapolis-Moline winter convention, which enhanced our numbers,” said Tesdahl. She said last year attendees came from nearly every state plus seven foreign countries. Tesdahl said organizers hope to grow those numbers even farther this year. 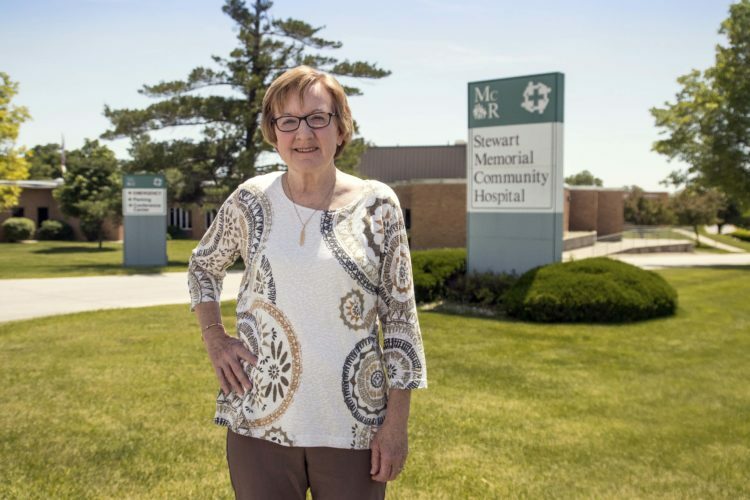 Heartland Museum’s board of directors has 11 committed volunteers, she said. Heartland Museum volunteers work hard to move exhibits, change information, or add to what is on display, she said. It is an effort to keep it from being static. Their day’s instruction sometimes includes a 40-item scavenger hunt, taking photos using students’ iPads; rotated class times during which they learn about the history of farming, conservation practices or using plants as medicines from the past. After lunch, students might learn such hands-on activities as weaving, quilt-tying or rope-making.